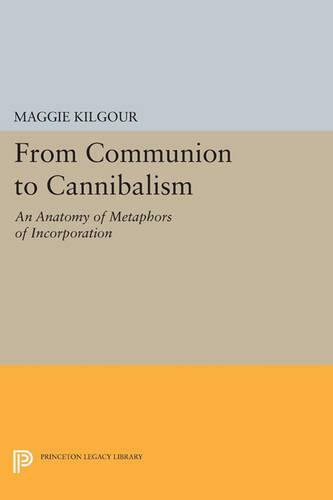 Focusing on such metaphors as communion and cannibalism in a wide range of Western literary works, Maggie Kilgour examines the opposition between outside and inside and the strategies of incorporation by which it is transcended. This opposition is basic to literature in that it underlies other polarities such as those between form and content, the literal and metaphorical, source and model. Kilgour demonstrates the usefulness of incorporation as a subsuming metaphor that describes the construction and then the dissolution of opposites or separate identities in a text: the distinction between outside and inside, essentially that of eater and eaten, is both absolute and unreciprocal and yet fades in the process of ingestion--as suggested in the saying "you are what you eat.". Kilgour explores here a fable of identity central to Western thought that represents duality as the result of a fall from a primal symbiotic unity to which men have longed to return. However, while incorporation can be desired as the end of alienation, it can also be feared as a form of regression through which individual identity is lost. Beginning with the works of Homer, Ovid, Augustine, and Dante, Kilgour traces the ambivalent attitude toward incorporation throughout Western literature. She examines the Eucharist as a model for internalization in Renaissance texts, addresses the incorporation of past material in the nineteenth century, and concludes with a discussion of the role of incorporation in cultural theory today. Originally published in 1990. The Princeton Legacy Library uses the latest print-on-demand technology to again make available previously out-of-print books from the distinguished backlist of Princeton University Press. These editions preserve the original texts of these important books while presenting them in durable paperback and hardcover editions. The goal of the Princeton Legacy Library is to vastly increase access to the rich scholarly heritage found in the thousands of books published by Princeton University Press since its founding in 1905.